Customize both sides of your business cards. Only Avery offers so many FREE easy-to-use design and print options. Smooth edges and heavyweight card stock for a professional look. Cards snap apart easily with clean edges. Each card: 3 1/2 x 2. Create and customize both sides of your business cards right from your desktop. Only Avery, a Microsoft® Gold Certified Partner, offers so many FREE easy-to-use design and print options. 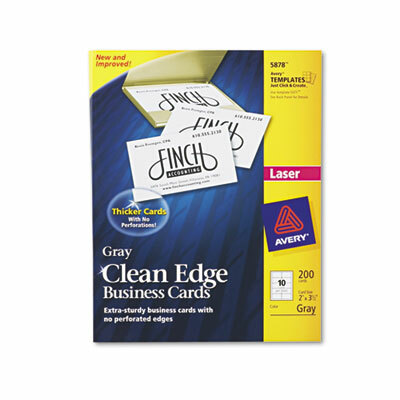 Smooth, non-perforated edges and heavyweight card stock ensure a professional look and feel. Each card: 3 1/2 x 2.